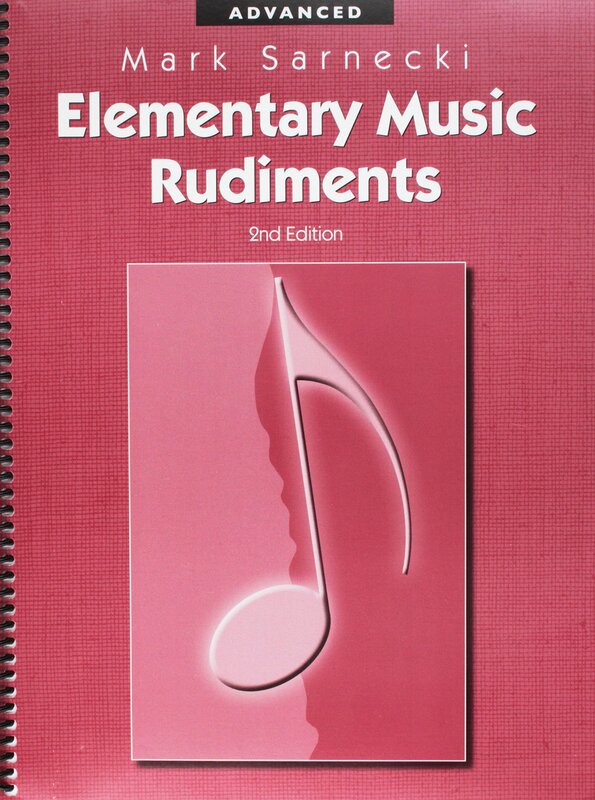 June Sale On Now/New in Music Education! June Sale On Now! – A sign summer is on the way, our annual June Sale is on now! Visit our new page https://musicdirect.ca (more on that below) for pricing and details, grab the sale price, and then start the car! Billing delayed till September on next years budget. Don’t let our inability to read a calendar stop you. We are pleased to stretch the dates and offer this early for everyone’s benefit. Think of it as budget yoga! Also see below for our New Music Session dates (yay!) and what’s new in music education. New! – Excellence in Chamber Music, Book 2 by Bruce Pearson. Excellence in Chamber Music, Book 2 is a collection of flexibly-scored ensembles­-perfect for festivals, concerts, summer camps, or ensemble practice. All fifteen songs are arranged for any combination of band instruments, from solo to small ensemble to full concert band. 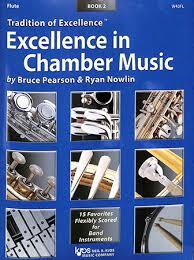 Excellence in Chamber Music Book 2 is correlated with Tradition of Excellence Comprehensive Band Method, Book 2. Grade 2.5. $8.99. See our sale for reduced prices on this and all books. Originally this post included an announcement about the availability of Rico 50 pack reeds, but unfortunately, we regret to inform you that the 50 packs are not available, as per notification from the manufacturer. For those directors that may be down-hearted thinking I wish I could take advantage of the June Sale but I don’t have money, don’t fret! This sale is for those of busted wallet as billing on the June Sale may be delayed till fall on next years budget! Broke music directors everywhere rejoice and sing Hallelujah! 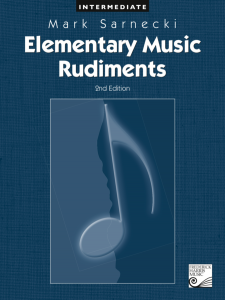 Elementary Music Rudiments by Mark Sarnecki. 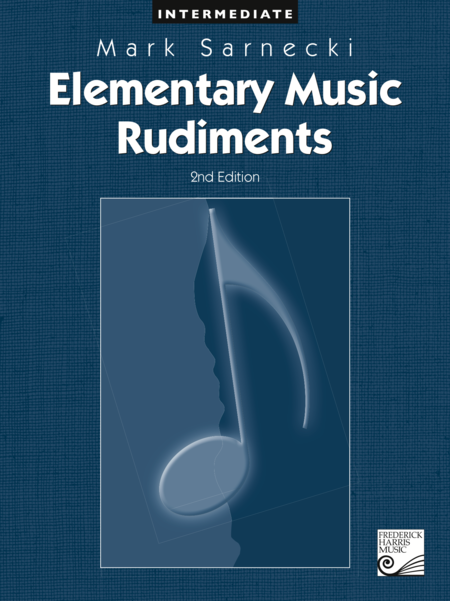 Looking for a new theory book for your band or choir class? Consider the Elementary Music Rudiments (2nd ed.) 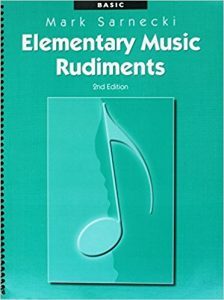 published by Frederick Harris Music, available in Basic ($18.95), Intermediate ($23.95), and Advanced ($24.95). Spiral bound. Mark Sarnecki’s comprehensive approach to music theory gives students of all levels the tools they need to become well-rounded musicians. Each book in these progressive series includes clear and concise lessons, using language appropriate for students at each stage of their development. Helpful diagrams and images accompany each lesson and combine with a variety of engaging learning activities to reinforce essential skills and knowledge. 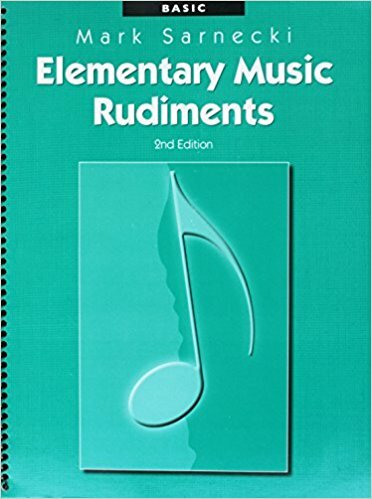 Elementary Music Rudiments, 2nd Edition organizes concepts into three progressive levels with an Answer Book available separately. Visit our page for sale prices. Unique New Music Sessions. Below are the dates for our fun and distinctive version of a reading session. See the best in brand new music for concert band, jazz band and choir. Be wined and dined. Hold the date. New Web Page! We have been working hard on our new web page, but its a big job. Each of our hand picked titles over the last 25 years needs to be edited individually. Thats well over 1000 concert band, jazz band and choral recordings and score views. Plus hundreds of entries for method books, reeds, supplies and more. A big thank you to our staff who have been working sometimes into the wee hours of the morning to have this ready for the start of our June Sale. Directors, thank you for your patience as we navigate through this. We hope you like it. If you visit often you will notice small changes as we tweak. While not completely polished, our page is fully workable and ready for the June Sale, on now! Congratulations to CADME on the recent Count Basie Orchestra concert in Calgary April 12. Great to see so many enthusiastic students and directors in attendance to hear this seminal jazz band. Music Direct is pleased to co-sponsor the event. Thank you for reading this. Have a great spring. Music Direct Ltd. – Serving for 25 Years! Hello! Please see below for what is new in music education. New! – Making Music Matter – Frank Ticheli. 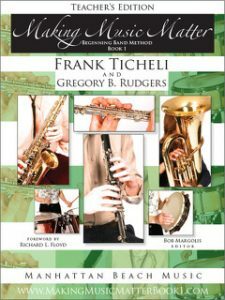 Frank has recently released his beginner band method and quickly followed it up with book 2. Making Music Matter is available in Smart Music. 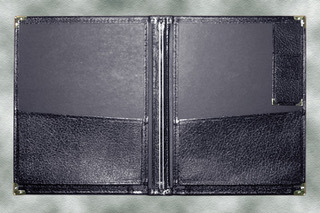 You likely know that we keep the black deluxe band folders in stock. Did you know we also stock deluxe choir folders? Yes, we do! If imprinting of school or student names are not needed, these could be with you right away. Same applies to deluxe band folders. Any band or choral folder can have imprinting of school and student names. Reminder – we order from the two largest publishers (Alfred and Hal Leonard) every week, placing our orders on Friday morning. If you can place your order anytime on Thursday by the end of the day, we can get your music to you at the speed of light! We have Alfred arrive in one business day, on Monday at 10 am, blazing fast! Hal Leonard arrives in 2 business days on Tuesday by 6:00 pm, super fast! This is our weekly Rush Speed/Regular Price service. No extra charge for this super quick speed! Music from other publishers is not this fast but arrives promptly. Also, did you know both Alfred and Hal Leonard distribute for other smaller publishers? Hal Leonard includes the following publications; De Haske, Curnow, Shawnee, Southern, Boosey and Hawkes, Jenson, G. Schirmer, Rubank, Canadian Brass, to name some. Alfred includes; Belwin-Mills, Columbia Pictures Publications, Warner Bros., Chappell, Suzuki to name some. Both companies have large umbrellas housing other publications. Together these two publishers account for about 75% of music for band, and choir. We look forward to getting you anything you wish very quickly from these two large publishers – from a single part to a conductor score to anything they offer. Looking to update your conducting technique this summer? Please see the link below for Conductor School by Wayne Toews. We continue to work away on our web page update. Thank you for your patience as we make strides to provide a better page. Our annual June Sale is not far away. A great time to order supplies, methods, and defer payment to next years budget. But my budget is spent, you say? If your budget is at rock bottom this is the sale for you, as billing is delayed till fall! Depleting your funds shows administration every bit is needed. If you spent it all congratulations! Once again I’m attending the Print Music Dealers annual conference, this year with a tour of Hal Leonard’s facility. Best wishes for an awesome spring.